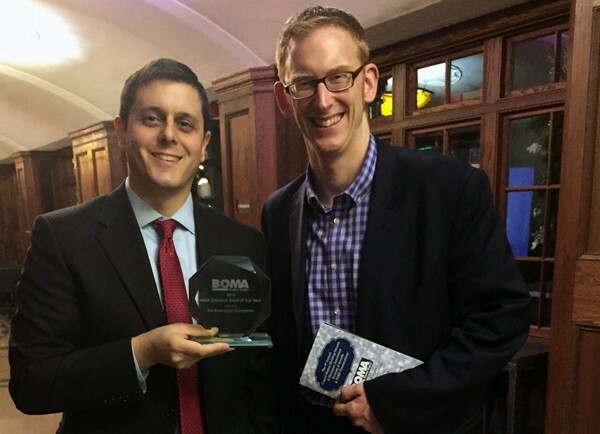 The 2016 “Most Creative Real Estate Deal of the Year” Award was presented to The Rosenblum Companies by the The Capital Region Building Owners and Managers Association (BOMA) at its ninth annual TOBY Awards Gala, held at The Renaissance Hotel in Albany on Thursday, December 1st. The Rosenblum Companies received the award for its watershed transaction in May, in which Rosenblum purchased 23 commercial buildings from The Beltrone Group for $57 million. The acquisition increased The Rosenblum Companies’ commercial real estate holdings to over one million square feet. Rosenblum arranged for the subsequent sale of eleven properties and retained 14, including four prominent office buildings in the Wolf Road/Winners Circle area which ring the Albany Marriott. In the six months since, the company has already invested approximately $1 million for property improvements including common area renovations (lobbies, restrooms, corridors, etc. ), redesigned landscaping, repaved/reconditioned parking areas, new roofs, and building system upgrades. “This was the single largest, most complex transaction we have ever undertaken so we are particularly honored to receive the ‘Most Creative Real Estate Deal’ recognition from our industry colleagues at the Capital Region BOMA,” said Seth Rosenblum, CEO of the Rosenblum Companies. BOMA’s TOBY (The Outstanding Building of the Year) Awards were established in 1985 by BOMA International to recognize excellence in the office building industry. The program has since more than tripled in size and scope, expanding to include 14 categories. TOBY Awards are evaluated based on a multitude of qualifying factors within each category, including community impact, tenant relations, energy conservation and environmental sustainability. The CR BOMA awards, which include the “Most Creative Real Estate Deal of the Year,” were created to recognize buildings, owners, managers, and supporters of the organization in the Capital Region that do not necessarily fall into specific TOBY categories. 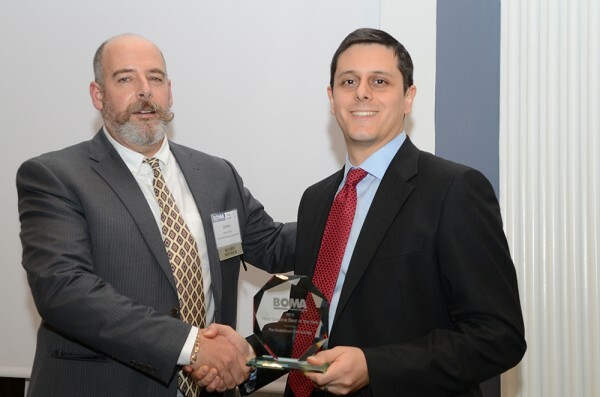 The Rosenblum Companies CEO Seth Rosenblum (right) receives the Capital Region Building Owners and Managers Association “Most Creative Deal of the Year” Award from CR BOMA Board Member James Grady, President, Tri-State Window Cleaning, Inc.